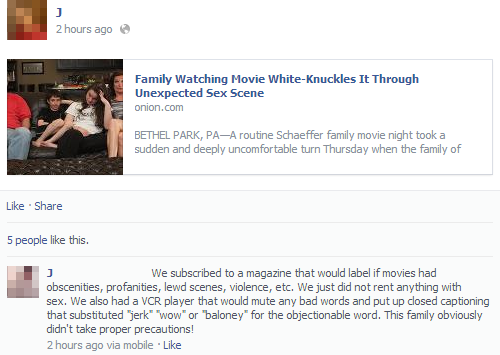 And parents in Bethel Park, I expected more from you! A few friends of mine have started up a new blog, covering all kinds of things from a Pittsburgh perspective. So far they’ve covered sports, science, video games, politics and pop culture. Check out Tri-River talk here. And lastly, as part of Health Care Reform, states are able to create their own health care exchanges. PA is working on their own (which I had no idea we were), and is set to open in two years. Seems pretty awesome, check out some of the details here. That’s all I’ve found so far, but there may be some more coming up. Let me know in the comments what stories from 2011 you liked the best, and which ones you want me to revisit this year. Let’s talk about Fayette County for just a moment, since it is so near to my heart. And we should read them all in the Oprah voice! Next up, Musings From Fayettenam has a great look at celebrating Christmas in our favorite county to the south. I can’t embed youtube videos at the moment, but go look at this video and be embarrassed. So very freaking embarrassed. Okay, we’re going to leave Fayette County for the time being, but we’ll go back later, don’t worry. That’s Church has two stories I’d like to share, the first being a video that is making its rounds, Pittsburgh’s answer to Apple’s Siri: Uncle Gordy. And a break down of the new Batman: The Dark Knight Rises trailer detailing Mayor Luke getting broke whilst falling into a crater. Gardening with Doug has a story about the possible revival of the American Chestnut. I went to Saint Vincent College, and when the monks built the campus in the 1840’s, they primarily used American Chestnut from the aptly named Chestnut Ridge. After the blight came and devastated the species, the buildings (the Archabbey Basilica especially) became essentially priceless. Back when the Pens played the Caps, the Capital Fans showed their “hospitality.” Thankfully, we seem to be much more welcoming here in Pittsburgh. More coming later, thanks for reading! Give me another one to figure out! Did anyone else get a text this morning (from a 412 number) about free food at McDonalds in celebration of the death of Osama? Was this a wide ranging thing, or am I just part of a special spammed group? Posted in n'at | Comments Off on Free food? So apparantly there’s some basketball tournament going on…or something. May I instead call your attention to an annual tradition of 96.1, the Freak Show Bracket. Once again, it is broken out, not by conference, but by counties. And I have to say, down in the Fayette County Division, I don’t see the City of Uniontown doing all that well. This year also features contendors such as Charlie Sheen (you knew it was coming), Angry Brids, Ambassador Rooney, Geno’s Parents, Samoas, Julie Bologna and Brett Johnson’s Left Hook. View the whole thing and vote in the first round here. With the Saint Patrick’s Day celebrations kicking off this weekend (I have to pull out my big hat), a few items that I’ve recently learned about Pittsburgh drinkers. First, when you go to a bar and practically empty your pockets/purse onto the bar, that’s a Pittsburgh thing. And I”m very guilty of this, I almost always have my wallet and cell phone on the bar in front of me, and typically leave them there (even if I go to the bathroom). Also another dead giveaway that you’re from Pittsburgh: leaving a $20 bill (or some other denomination) on the bar and expecting the bartender to make change from it (and you’ll presumably pull out tips as well) as you order more rounds. Both of the above items have tipped off bartenders in other cities that the people telling me these stories (bartenders themselves) were from Pittsburgh. Thankfully, some people are kind enough that if they see you drop dow na $20 bill for a bottle of [insert your favorite beer here], they’ll make some comment about you being a Yinzer and then make change accordingly. Asshats will take the entire $20 as payment and tip. Be safe out there this weekend, enjoy the drinking! Not that that really matters, you’ll be covered in a blanket of snow tomorrow morning. Still working on getting mobile uploading working, I’ve been posting a lot, but nothing is showing up, more soon.